Q&A: Is This a Case of ARFID? A. This young patient may have pediatric acute-onset neuropsychiatry syndrome, or PANDAS/PANS. This is a subset of ARFID, but has some distinct clinical differences. In 1997, Sokol and Gray reported the first cases of PANDAS anorexia seen in their eating disorders unit at the Menninger Clinic (J Am Acad Child Adolesc Psychiatry. 1997. 36:1128; and also see EDR, September/October 2001). These young patients were prepubertal and were fearful of gaining weight (they had underlying body dysmorphic issues). Very importantly, they also had symptoms linked to group A streptococcal (GAS) infections. Additional studies documented GAS infections among children with abrupt onset of fears of choking and refusal to swallow, leading to restricted food intake. Some young patients with PANDAS restrict their food intake because of fears about food contamination as well as of choking. In one study, a child with PANDAS was so afraid of choking and contamination of his food that he lost 10% of his body weight (J Am Acad Child Adolesc Psychiatry. 2004. 43:510). 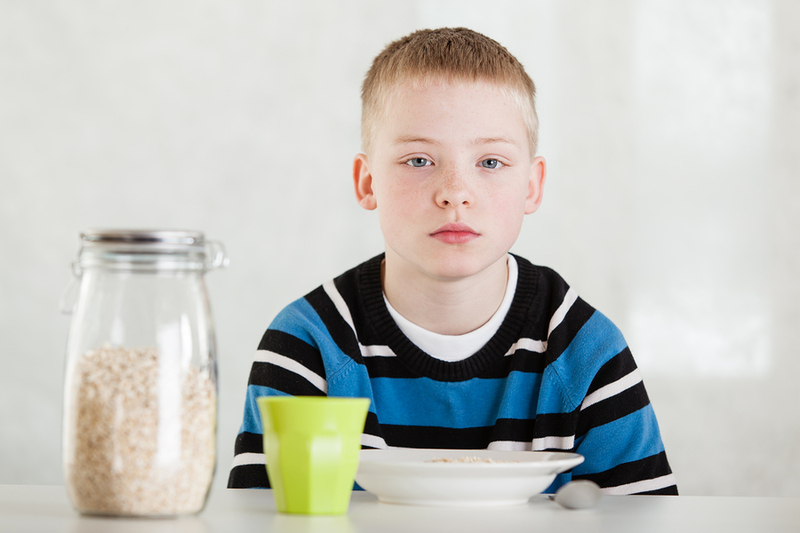 Several years ago, Megan D. Toufexis and colleagues published a very helpful article on food restriction in children with PANDAS/PANS (J Child Adolesc Psychopharmacol. 2015.25:48). The article included several cases that illustrated the common symptoms seen in these young patients. The 29 patients described in this series were participants in clinical trials at the National Institute of Mental Health (NIMH) and the Rothman Center of Neuropsychiatry at the University of South Florida (USF). A distinct set of behaviors emerged: rapid onset of symptoms, and obsessions about poisoning, vomiting, or choking. A few young patients had body image distortions. Two-thirds of the children had obsessive fears about contaminated food or drink, and 5 refused to swallow their own saliva because of fears it was contaminated. Certain clinical symptoms can help differentiate patients with PANDAS from those with other eating disorders. These are: (1) the rapid onset of symptoms, (2) the prevalence of the disorder in males, and (3) the young age at presentation. According to Toufexis et al, in the case of children with PANS, environmental factors, particularly GAS infections, can lead to a cascade of immunological, psychological, and physical symptoms that result in abrupt restriction and/or aversion to food. Early appropriate diagnosis and treatment of PANDAS,/PANS are essential, because prompt treatment with antibiotics or immunomodulatory therapies can produce dramatic improvements in symptoms.